I was born in Baltimore then lived for the first few years of my life in Harford County. We had a big property with horses for a few years, then our family moved to Central Florida where I grew up. I was the youngest of five children. I got a lot of attention but not always the kind I wanted. 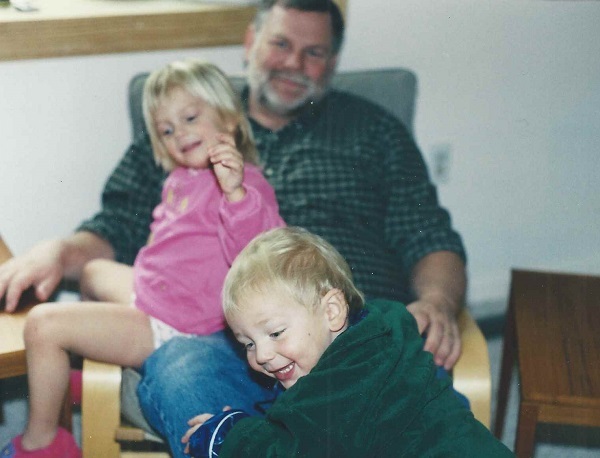 It was hard to be taken seriously as the youngest, so when people listen to me now, I am still amazed! My parents separated when I was 17 and I followed my older sister to New York City. 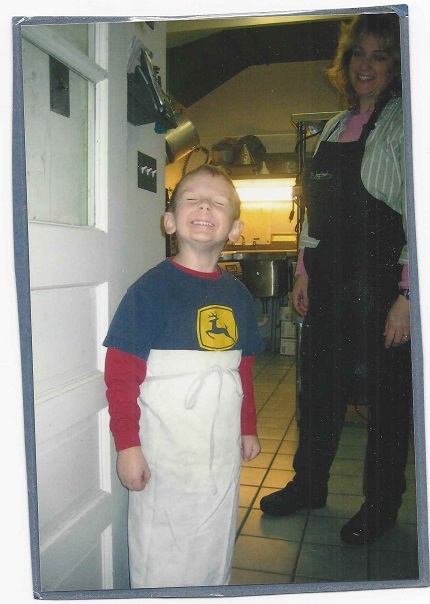 I have tried many different careers. 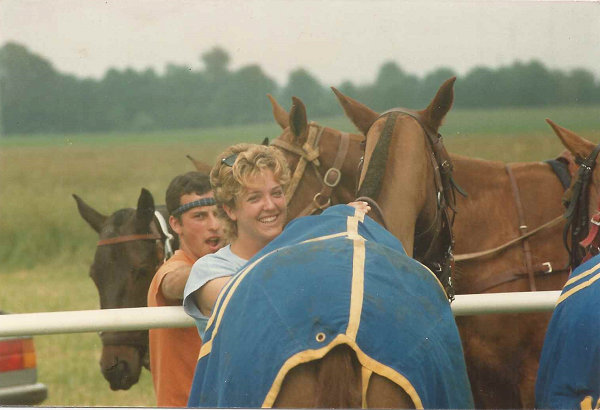 In my twenties, I worked as a groom/trainer for the St. Moritz Polo team and got to live and travel all over Europe. After I moved back to the States, I worked in Real Estate management from an office in Trump Tower in New York then later owned a restaurant and catering business in Annapolis and Denton. 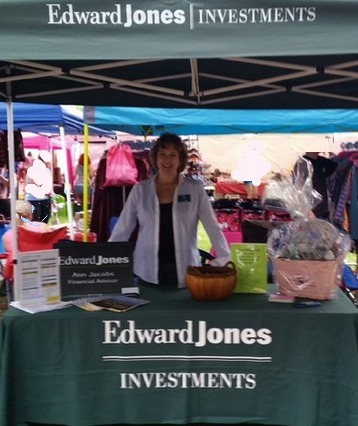 I was the director at the Caroline County Chamber of Commerce, where I got to know many local businesses, and now I am a financial advisor. How long did you live in The Big Apple? What was that like? I lived in New York City for four years from the age of 18 to 22 while I went to Parsons School of Design then another year after I moved back from Europe. That was the year I worked for a Real Estate company in Trump Tower. I was glad to get away from there. Raising two children together with my husband, Jake, to be responsible, sensitive, kind (and funny) people is the most meaningful thing I’ve ever done. I think that is a matter of helping them reveal and develop who they already are. And second most remarkable? Have you ever, like, run a marathon? Training for the MCM last year was really hard but I could not have done it without my team, Talbot Unleashed, and especially the head coach, Amy Eutsey. I think she has had a tremendous positive impact on the lives of the runners like me who she has trained to believe in themselves. Some of the long Saturday runs were really hard and it was hard to believe you had just run 18 or 20 miles. And after running that kind of distance the first time, it was hard to walk or sit down! 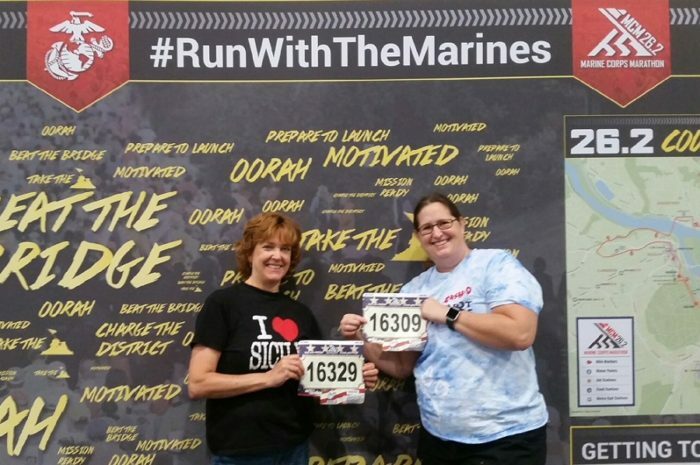 Running the marathon was inspirational because of running for those who have fought for our country. The Marines run while wearing 100 pounds on their back, so I figured I had it easy compared to them. The next big thing for me is building my business as a Financial Advisor. 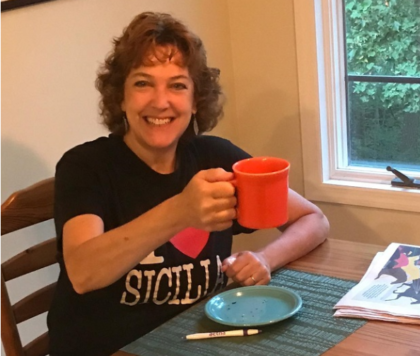 I got the I Love Sicilia t-shirt when I went there in 2015, and I would love to go back – or go to any part of Italy for that matter. I would love to take a week or two and live with a family while taking language classes. When I lived over there I was able to speak Italian, Spanish and German, and months would go by without speaking English. I have forgotten most of it now but would love to relearn it. I miss the European culture. How did you and UUFE find each other? The Yellow Pages. We moved here in 2002. The kids were small and I wanted to start taking them to church. I remembered having a good impression of the UU church from conversations over the years but I couldn’t remember specifically why. I found UUFE in the yellow pages (this was before Google was commonly used) and I took the kids one Sunday morning. When I read the seven principles I knew I was home. Any other question you wish we’d ask? I would like to add how much I love UUFE – the people, the conversations, the music… I am so glad to be back! Thank you Ann for sharing your story with us. Thanks for sharing your story – very cool about the marathon! Really like learning more about you ! Wow!